The designs of stair runners have become increasingly adventurous in recent years – everything from vivid-coloured stripes to bordered and tartan options. 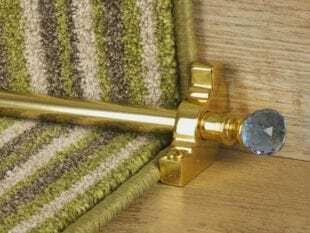 If you are looking to have some fun and jazz up your staircase, then one of the glamour stair rod options may well appeal. 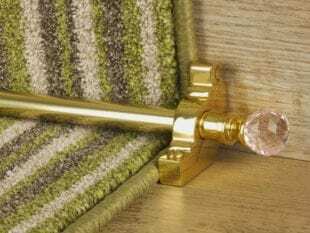 Perhaps, the most eye-catching are the Crystal stair rods, featuring crystal finials in a choice of four different colours. they sparkle and catch the light whatever the time of day or night. 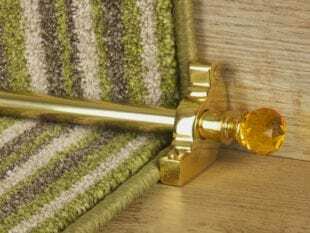 For added character, you can also choose the more decorative reeded or spiral style of rods, rather than the classic plain ones. 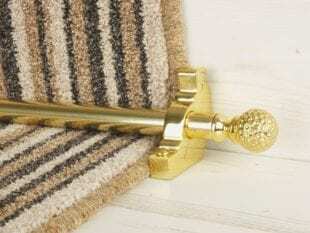 The Eastern Promise range of carpet rods also add a touch of drama to your staircase. 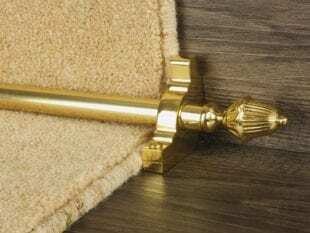 Available only in the 16mm (5/8″) diameter, these chunky rods feature highly ornamental finials, including one inspired by an architectural feature from the East, an onion dome (Cairo). They are great value and are guaranteed to make a statement at the heart of your home. 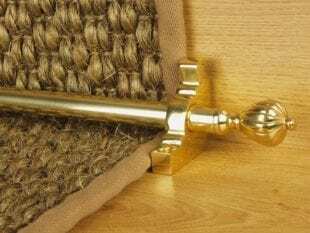 We bespoke make most of our stair rods, so that they fit your staircase exactly. For help in measuring up, please refer to our guide.